UP election: Has Congress' poll strategist Prashant Kishor already given up on brand Rahul Gandhi? At the end of the larger-than-life, high-voltage campaign of the 2012 Uttar Pradesh Assembly Election, all that Rahul Gandhi could manage was to secure a paltry 28 seats, a phenomenal six-seat increase from Congress' previous election tally. The fact that journalists were writing fawning prose about his sister Priyanka Gandhi’s “slim figure and flawless European skin tone” didn't help either. After four years, today, the Congress is all but surviving as a national party. Yet to its credit, it’s not given up hope on Uttar Pradesh, which is a good thing: It shows a fair bit of fighting spirit. But then again, as a hallowed Congress tradition would have it, the party has still not given up hope on Rahul Gandhi — with or without the European skin tone — as the leader who would at last, pull off a miracle, come 2017. Or at least that seemed to be the thinking behind the party’s decision to hire Prashant Kishor, once widely dubbed as the master strategist behind Narendra Modi’s extraordinary victory in 2014, followed by helping the Nitish-Lalu combine secure another big win in the 2015 Bihar polls. With this, professional life seems to have come to a full circle for Kishore, who, in 2007, had refused Rahul Gandhi’s proposal to build a super specialty hospital in Amethi. Kishor, who had by then acquired a halo and began carping that things were "not going as planned", perhaps felt shortchanged... while he had indeed worked hard for the victory, RSS workers at the grassroots had operated like a well-oiled machine, too. 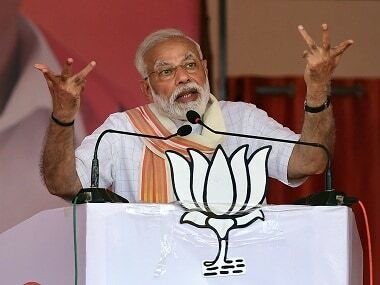 But he spoke as if he had a special claim to the credit; Modi, he began telling colleagues and journalists, wasn’t living up to his expectations. Given this, one could argue that after the Bihar victory against the BJP helping Rahul Gandhi is Kishor’s way of getting back at Modi, yet again. Of course, it’s equally probable that Kishor being the professional that he is, is merely executing another grand project. But things get clearer when we scratch the surface of the Bihar victory. It’s doubtless that Kishor ran a competent campaign for Nitish Kumar but the very fact that he didn’t have the guts to go alone, and had to eat a humble pie by tying up with his sworn enemy Lalu Prasad Yadav is revealing. As are the results: At 71, the JD(U) had lost 44 seats compared to the 2010 polls while the RJD gained massively, adding 58 seats from its previous showing of 22. It overtook the JD(U). In other words, Kishor’s strategy indirectly ensured a resounding comeback for the RJD whose long history of corruption and criminality is only too well-known. Even as recent as September, Nitish is learning the hard way that he’s no match for the wily Lalu. ...Kishor has hurdles in Bihar to leap over as well, where he holds a cabinet rank. The multi-crore campaign he had suggested in the state to shore up the image of the new government led by Nitish didn’t have any takers... No wonder that Kishor has not been to Patna in the past two months. According to people in the new state dispensation, he seems to be losing his interest in Bihar as its bureaucracy is not very welcoming of 'outsiders'. "This has been a recent development. From having great ties with two top leaders (Lalu and Nitish) and from exercising influence over ministerial portfolio allocation, he is now showing much less interest in the state. It is not yet a Gandhinagar kind of situation for him here," says a Patna-based senior JD-U leader. Arguably, Kishor is a brilliant marketing professional: from strategy to implementation to delivery. But then a marketing professional can not ensure the sale of a pitiable product. The Congress party’s UP campaign which began in August symbolically at Varanasi — PM Modi’s constituency — soon fizzled out. Despite some much-publicised grassroots efforts by Kishor’s team IPAC, the campaign seems going nowhere. Indeed, alarm bells should have rung when Sheila Dixit — who has run the full course of her political life — was declared the Congress' CM face in UP. 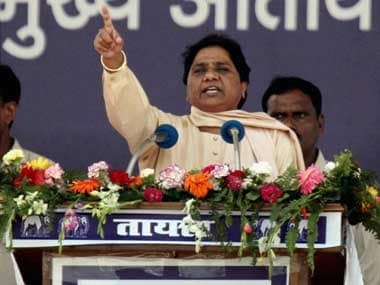 This decision, according to a news report, came in the wake of Sonia Gandhi giving a "dressing down" to Kishor for "projecting Priyanka Gandhi as the chief campaigner for the UP polls". Clearly, Kishor either underestimated or ill-understood the Congress "style" of functioning. Even as he demanded and got direct reporting only to Rahul Gandhi, the Congress ecosystem began getting the better of him. He was overruled when the party High Command appointed Raj Babbar of the twelve-rupees-a-meal fame, as the UP unit President. Rasheed Kidwai, a Congress insider, writes how Raj Babbar dubbed Kishor as a "sound recordist... (Prashant Kishor) is not my leader... My leader is Rahul Gandhi". Babbar wasn’t reprimanded. This incident throws further light on Rahul Gandhi’s inept leadership something that former Congress leader Hemanta Biswas Sarma alluded to, in merciless language. Kidwai further writes how the Congress purse-controllers are hacking at Kishor's campaign budget: "When Kishor reportedly tried to get some of I-PAC bills cleared from AICC treasurer Motilal Vora, the octogenarian leader did some maths and cut the expenses figure to half. There was another drastic reduction and the payment was reportedly promised in installments." Because, well, because "the Congress coffers are empty". And with Karnataka as its only significant state — it faces the real prospect of losing badly in the next polls here as well — it appears that the Congress’ cup of woes is brimming. 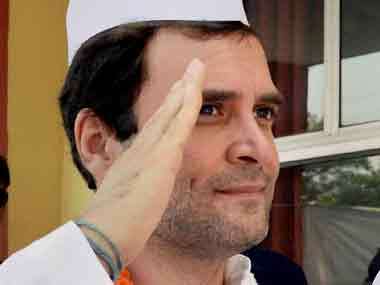 On the other side, Kishor faces the uphill task of managing Brand Rahul Gandhi. One day he's full of praise for Modi becoming a "real" Prime Minister at last. And then inexplicably, he abuses Modi for indulging in "khoon ki dalali" for the same act of carrying out surgical strikes against Pakistan. As Sanjay Singh of Firstpost correctly observes, this Javed Akhtaresque dialogue seems to be Rahul Gandhi’s own "maut ka saudagar" moment, and that "no matter how hard rajguru Kishor, other party strategists or the spin doctors may try to re-launch Rahul Gandhi and portray him as a secular kisan neta (farmer leader) this isn't an easy task for them." Even worse, Rahul Gandhi’s “Khoon ki dalali” goof-up comes at a time when Samajwadi Party sycophants are “claiming that Prime Minister Narendra Modi ordered the surgical strike only after consulting with SP chief Mulayam Singh Yadav". In other words, leaders seem to be vying for the credit of obtaining glory for the nation. But there’s even worse. Madhya Pradesh Congress leader Shailesh Choubey, in a viral video, appealed to Sonia Gandhi to sack her own son for his mindless remark. Simple commonsense would’ve told Rahul Gandhi and his advisers that Narendra Modi is not contesting the UP polls, nor is Rahul himself, on a Congress ticket. This brand is what master strategist Kishor faces on a daily basis. In the case of Narendra Modi and Nitish Kumar, he already had brands who would sell — he only needed to craft and amplify the message. With Modi, it was chai pe charcha, the holograms and the rest. With Nitish, it was parche pe charcha, and the Nitish-branded bicycles. But in Rahul Gandhi’s case, he simply cannot teach a new trick to a pony that stubbornly refuses to learn. Either that or Rahul Gandhi simply cannot shed the generations-long attire of doles, freebies and talking down to the electorate. So, what is the exact message that Prashant Kishor has in mind for Rahul Gandhi? And why was Sonia Gandhi silent throughout the month-long Congress campaign in UP? Rasheed Kidwai seems to hint that Kishor might part ways with the Congress midway given what it might do to his reputation as the man whose strategy has always delivered victory. However that might pan out, the answer to the Congress party’s thinking about UP might lie in the selection of Sheila Dikshit as its CM candidate: That the Congress has given up long before the actual election. 1UP election: Has Congress' poll strategist Prashant Kishor already given up on brand Rahul Gandhi?